Xbox allows you to enjoy in online multiplayer with millions of other players, but sometimes there might be some issues with online multiplayer. Users experienced For this game you need to be online Xbox error on their console, and since this error can prevent you from playing games online, today we’re going to show you how to fix it. For this game you need to be online Fortnite – Some Fortnite players have recently reported this problem. Nevertheless, you can still apply the solutions from this article. For this game you need to be online if you re on this Xbox regularly – A very similar error message. Once again the same solutions apply. Xbox One error 0x803f9008 – This is a common Xbox One error code, that basically means the same. The person who bought this needs to sign in – This is actually a sign-in error, but it occurs when you launch a certain game. Xbox error “For this game you need to be online”, how to fix it? Press the power button on your modem to turn it off. After modem turns off, wait for 30 seconds and press the power button to turn it on again. Wait until modem turns on completely. After that, check if the problem is resolved. If you have a wireless router, you’ll have to restart it as well in order to fix this error. Press and hold Left trigger, Right trigger and Y button for a few seconds. After you release these buttons, Dashboard will refresh itself and load all the elements of the Home screen again. Some users reported that this solution doesn’t work unless you go offline and back online before using the aforementioned method. Keep in mind that you might have to repeat this process few times before you fix the problem. Open Settings and navigate to Network. Select Advanced Settings >Alternate MAC address. Select Clear to clear the MAC address and restart your console to save changes. Navigate to Network Settings and select Wireless Network. Select Configure Network > Additional Settings. Select Alternate MAC Address and make sure that Alternate MAC Address isn’t set. Press Done to save changes. After clearing Alternative MAC address the error should be completely resolved. Open Settings and select Network. In the Troubleshooting section on the right select Test network connection. After that, select Test multiplayer connection. If your console passes both tests, it means that your Internet connection is working properly and there are no blocked ports that interfere with online multiplayer. Select Settings > System Settings. Select the name of your wireless network or select Wired Network option. Now select Test Xbox Live Connection. If there are any problems with your network connection be sure to resolve them and check if that fixes the error. Scroll left on the Home screen to open the Guide. Choose Network > Network settings. After going offline repeat the same steps and choose the Go online option. Press and hold the power button on your console for 10 seconds to turn it off. After your console turns off, unplug the power cable and wait for few minutes. After that, reconnect the power cable and press the power button on the console to turn it on again. Open Settings and go to Power & Startup. Locate Power Mode and change it from Instant-On to Energy-saving. After doing that, select Turn Xbox off option. Turn on your Xbox by holding the Guide button on the controller. You can also press the power button on the console to turn it on. Optional: After your console turns on, you can go back to Settings > Power & Startup and enable Instant-on Power Mode. Press the Guide button on the controller and go to Settings > System Settings. Select any available storage device and press the Y button on the controller. Device Options screen will now open. Select Clear System Cache option. You should see a confirmation message. Select Yes. 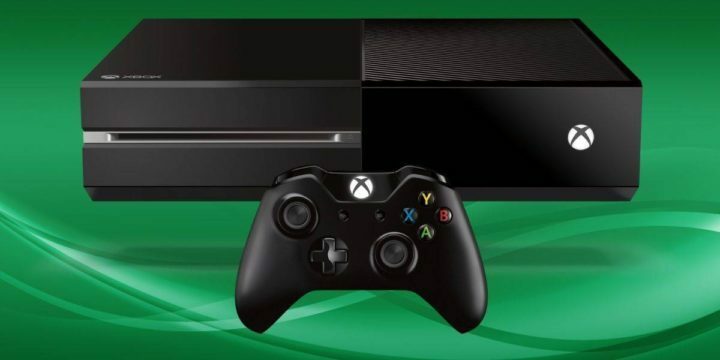 To clear cache on Xbox One you need to turn off your console and unplug the power cable. While the power cable is unplugged press the power button few times to drain the battery completely. Connect the power cable and wait until the light on power brick turns from white to orange. Now press the power button to turn on the console. Your cache will be cleared and the problem should be resolved. Xbox Live consists of different services, and if one of those services isn’t properly running, you might not be able to play certain games online. To check the status of Xbox Live services, simply visit Xbox’s website using any web browser. If any of these services aren’t running, you can only wait until Microsoft fixes the issue. Go to Settings and select Sign-in, security & passkey option. Make sure that Use instant sign-in option isn’t enabled. Sign in to Xbox Live. Go to Settings and select Profile. Select Auto Sign-in and make sure that it’s disabled. For this game you need to be online error can prevent you from playing games online, and we don’t know how many games are affected by this issue, but you should be able to fix it by using one of our solutions.